Yamaha's new HW3 Advanced Lightweight Hardware Pack is portable and compact, so you can painlessly transport your gear to shows, rehearsals and the studio. This modern-style hardware is made of aluminum with standard diameter tubing that also works with Yamaha System Hardware, offering a 25-34% lighter option compared to most standard hardware. 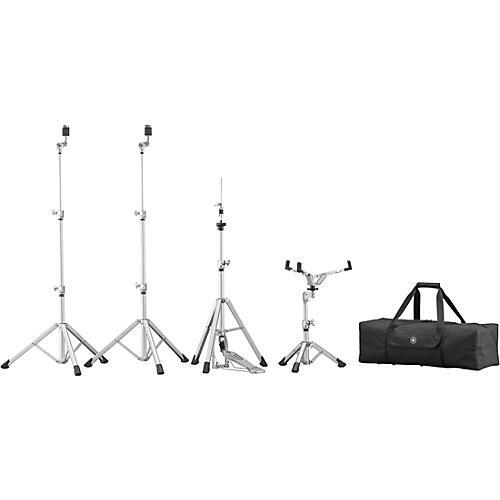 It includes two CS3 cymbal stands, one SS3 snare stand, one HHS3 hi-hat stand. The ensemble comes with a convenient carrying case designed to hold all pieces, as well as most drum thrones and bass drum pedals.